Select File > Preferences > Fonts > Custom. From the Desktop tools list,select HTML Proportional Text. 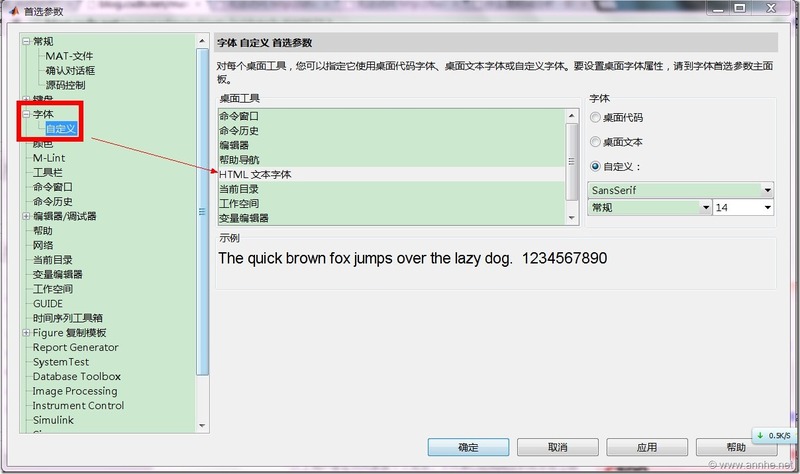 This entry was posted in 开发工具 and tagged MATLAB, 帮助字体 by annhe. Bookmark the permalink.